Soviet sports machinery was turned into one of the best in the world over the years. If you need any proof, just take a look at achievements of Soviet sportsman’s in World Championships and Olympic Games. A lot of politics were involved in sports back then. The race between the USA and USSR. Best minds of the Soviet Union were brought together to create that mighty sports machinery, which was supposed to bring the glory and gold medals to biggest country in the world. That was a cruel machine. Very cruel. Of course, in USSR there were created perfect conditions for everyone, who had intentions to became a sportsman. Kids were able to choose any sport they like and develop themselves into solid athletes. Everything changed, when someone saw potential that you could become a medal-winning athlete, there was no mercy anymore. When you became a part of the USSR national team – responsibility was huge. You could have only one thought in your mind – bring victories and medals to make your nation proud. Of course, someone could say that now there are the same conditions and pro athletes do insane workouts to achieve their best results. I agree with that, but there’s a little difference – they are professional athletes and they get very solid financial support for their effort. Soviet athletes also had good conditions and some extras, which weren’t available for simple citizens. You could travel outside the borders of USSR, you could bring some import clothes and electronics to your home. You could even get a home and a good car for free. But it's still nothing against modern conditions. Now you have more freedom, more opportunities to earn money with your talent and simply you can do whatever you want if you reach the top. Back in USSR, your status was “amateur athlete”. Formally, you worked in a factory (Dynamo was related to police structure) and earned a standard salary, like 100 rubles per month. Any complaints about such status and rules? No problem, there are a hundred hungry candidates just behind your back. Next, please! The situation in Soviet football was similar. Top footballers had to prove themselves all the time and there always were new candidates behind of you, waiting for a chance to play in red/white shirts with CCCP letters printed on their chest. Oleg Blokhin was a long time leader of the USSR national team. He remained a valuable part of the Soviet team for almost 15 years. He set many records in Soviet football and no one will be able to broke those records. Simply because such a country doesn’t exist anymore. And even if there still would be such country, as the Soviet Union, I doubt that someone could come even close to these records of Blokhin. The career of Oleg Blokhin started in his hometown Kyiv. It was the capital city of Ukrainian SSR and one of its symbols was the famous Dynamo Kyiv football team. For every young footballer in Kyiv, there was just one dream – to wear a white Dynamo jersey one day and make a debut in Soviet Top League. At that time everything was quite simple. The youth was dreaming about the chance to become a part of a famous Soviet sports collectives. That was an honor for every sportsman to become a part of Spartak, Dynamo, Torpedo or CSKA. Those were symbols of the Soviet sports system. Young footballers dreamed about the chance to wear a white jersey with black-colored T letter or with blue-colored D letter on their chest. It was all about the name of these teams. They weren’t any mercenaries, they were pure patriots of their country. 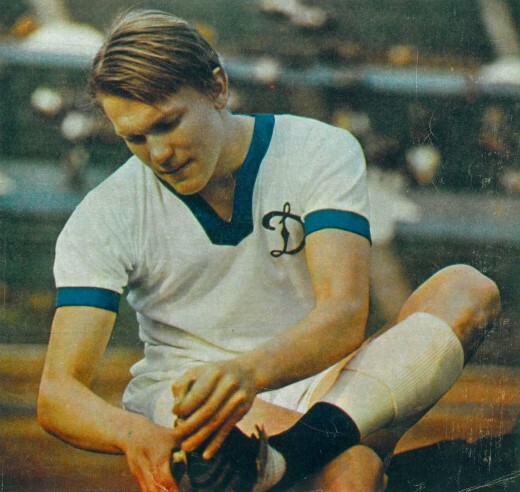 Oleg Blokhin slowly raised through ranks of Dynamo youth system and in 1969 he made his debut with the first team, being just 17 years old. However, that was just a single match and his real debut came three years later when he became a regular first-team player. 1972 season introduced Blokhin to Soviet football fans. Young and the lightning-fast striker scored 14 goals in 27 games and at the end of the season he got Soviet Top League Top Scorer award. Dynamo finished second in the league in that season. In next season, Blokhin met the manager who made a huge impact on his career. Valeriy Lobanovskyi was invited to manage to Dynamo after successful work with a team from Dnipropetrovsk. He quickly started to use his own training methods. Training’s under Lobanovskyi was really intense and that was something new for all Dynamo footballers. His main target was to bring Dynamo players to excellent physical condition, so no one could match up against them. It can be compared to experiment and there were moments when the managerial career of Lobanovskyi was one step away from the massive failure. If Dynamo wouldn’t achieve such great results, he and his philosophy would be simply forgotten. Blokhin later admitted in various interviews, that all those exercises Dynamo footballers did, could be compared to the preparation of astronauts. Footballers weren’t supposed to fly to the Moon, but Lobanovskyi didn’t really care about such nuances. He wanted to build a team, which could be able to survive those inhuman training’s. After some time, he achieved what he wanted. Dynamo became much stronger under Lobanovskyi and they reached their peak in 1975. There were just a few teams, who were able to stop Dynamo in Soviet League. But those were just individual games and there was no team, which could stop Dynamo on their way to another Soviet League title. For Blokhin it was another great season, he scored 18 goals and again became a league top scorer. Success in the Soviet Union was just a part. Biggest moments of joy came in UEFA Cup Winners Cup (CWC). The start wasn’t easy as Dynamo had to face their friends from Socialistic Bulgaria – CSKA Sofia. Blokhin played the main role in both games, scoring one goal in each of those two games. He was one of brightest players in next games too. Dynamo got past West German club Eintracht Frankfurt, later they got two wins against Turkish Bursaspor and then came the games against Dutch team PSV Eindhoven in semi-finals. Dynamo once again showed their strength and after a strong 3-0 win at home, they advanced to the final. Dynamo faced Hungarian club Ferencvárosi in final of CWC and it was really important for Dynamo to get a victory in this tournament, also because of political background. USSR always positioned themselves as a mighty country in all areas, including sports. Lucky for Soviet team, Ferencvárosi simply lacked class to beat Dynamo and end result was 3-0. Two goals by Onishchenko and one by Blokhin. This was the first major step for Blokhin on his way to Ballon d’Or award. After victory in CWC, Dynamo had a chance to play against Bayern Munich in the final of European Super Cup. In a line-up of German grand you could find some of the brightest footballers in the history of German football. Legendary Bayern captain Franz Beckenbauer, amazing Gerd Muller, long time West Germany national team goalkeeper Sepp Maier, Karl-Heinz Rummenigge and many other stars of that era. But no one could stop Blokhin in those two meetings. He was unstoppable! The first game was played in Munich and many expected Bayern to win this game. However, the situation turned out to be slightly different. Real Madrid was twice interested in transfer of Oleg Blokhin. First time they were ready to offer $9 million in 1975. When Blokhin was already 30 years old, Real was ready to pay $4 million, but he once again was forced to forget about chances to play for famous Spanish club. Bayern was playing without their leading striker – Gerd Muller and that made everything even more difficult. Dynamo defense was so well-disciplined and organized, that Bayern simply didn’t have any chances to score goals. Time was running out but score 2-0 remained and after the final whistle, the crowd started to cheer and enjoy a moment of glory. That was simply the beautiful end of the long season. 1975 can be called as a golden year in the history of Dynamo Kiev. League title, CWC title and of course the European Super Cup trophy! What can you ask for more? But there was one individual trophy waiting for its new holder – Ballon d’Or. I think that this trophy tells everything and there’s no need to comment it. Outstanding performances of Oleg Blokhin were appreciated. Blokhin became a second Soviet footballer to receive such award. 12 years earlier, this award was presented to another legend of Soviet football – Lev Yashin. Blokhin received 122 votes, Franz Beckenbauer received just 42 points, being placed second. The third was legendary Dutch footballer Johan Cruyff. Soon after winning Ballon d’Or, there came offer from Spanish grand Real Madrid. They were ready to pay $9 million for the young striker. Unfortunately, such transfer was more than impossible at that time. Theoretically, he had chances to stay somewhere in Europe, but Blokhin knew that his relatives would have major problems if he would leave the Soviet Union. He would be declared as a betrayer and his family would go under various repressions. Because of that, he couldn’t even think about leaving his homeland. He stayed with Dynamo and continued to enjoy all the benefits of being a Soviet sportsman. 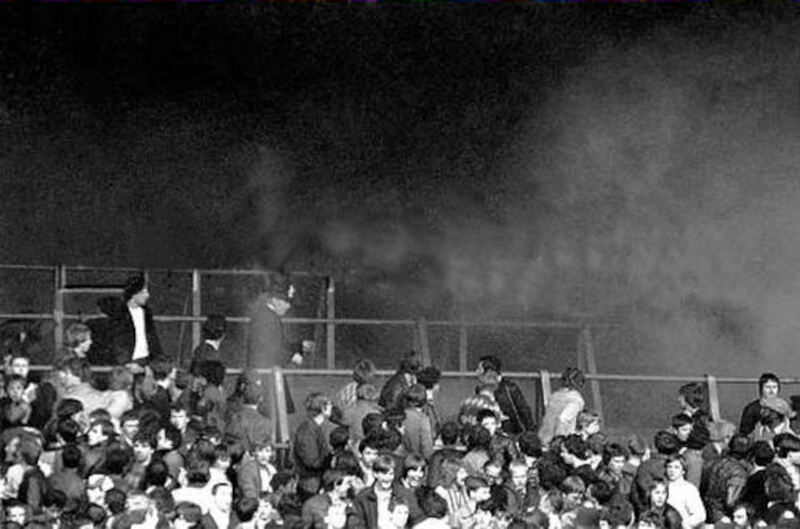 After brilliant 1975 season, Dynamo Kiev slowed down and next season was much harder. For Blokhin this season turned into very unsuccessful individually. He scored just 10 goals in 28 games. Dynamo was short in Soviet Top League and they couldn’t win the title. All expectations in the European Cup also turned into disappointment. Dynamo reached 1/4 final and there they faced French side Saint-Etienne. The first leg gave real optimism, that something good could happen again. Blokhin scored a goal, Dynamo won 2-0 and the team traveled to France with some faith in success. Reality turned out to be crueler. After a successful second half, the game ended with 2-0. Teams went into extra-time. Dynamo tried to take initiative, but Saint-Etienne was simply better. France national team striker Dominique Rocheteau scored winning goal and game ended with the painful result for Dynamo. Such a good start at home and such end of the journey in France… Reason for such lack of success was quite simple. After all those immense training’s, there came a moment, when footballers simply felt too tired. Hard training’s under Lobanovskyi gave a positive result and in 1975 Dynamo reached their peak form. However, later everything went wrong. Many Dynamo players were a part of the USSR national team. There they had to face failure, after losing to Czechoslovakia in Euro 1976 qualification. Intense schedule and training are led to problems. Dynamo players were exhausted and they simply wanted to take some rest. Till its next season of glory, Dynamo and Blokhin had to wait for 10 years. There were domestic league and cup titles, but European journey always stopped in 1/4 finals or even earlier. It was getting even harder to surprise someone in Europe, as there were rising such teams, as Juventus with their brilliant leader Michel Platini. It was almost impossible to hope for another individual title, Ballon d’Or. Blokhin was nominated for this award in 1981, but he was placed fifth. Later, he couldn’t come even close to such a feat. Platini, Maradona, Rummenige and other football legends were setting the tone in European football. Of course, he remained a well-respected player in Europe. Everyone knew and respected Blokhin and Dynamo Kyiv team. Some teams maybe even feared them. 1986 season was quite similar to 1975. The only difference was the status of Blokhin, who already was a veteran in Dynamo squad. At age of 34, he was still one of the leading footballers in the Soviet Union. Dynamo once again won Soviet league title and they had a successful journey in Cup Winners Cup. Blokhin scored just a few goals in the domestic league, but in CWC he scored 5 goals and shared top scorer award together with his Dynamo teammates – Belanov and Zavarov. The Soviet club had impressive run throughout CWC season, smashing away all their opponents. Even in final against Atletico Madrid, Dynamo got confident win 3-0! Blokhin also scored one goal in this game and he helped Dynamo win their second European title. They had a chance to play for UEFA Super Cup too against Romanian club Steaua. This time, Dynamo failed to win the Super Cup. Match ended with a minimal result 1-0 and the only goal was scored by legendary Romanian footballer Gheorghe Hagi. Despite this loss, there was another memorable moment for Dynamo. Blokhin’s teammate Igor Belanov won Ballon d’Or award. Ukrainian had an impressive season with the club and national team. The winning of such award was well-deserved. Season of 1987 was last for Blokhin together with Dynamo. The Soviet Union was slowly collapsing and Blokhin was looking for his first abroad experience. Theoretically, he could stay and continue to be part of Dynamo. As an assistant coach, for example, but such an option wasn’t even in mind of Lobanovskyi and management of the club. Blokhin could only hope for a “green light” from the Soviet government. Before that, he once again had a solid season in the European Cup. Dynamo reached semi-finals, where they lost to eventual champions, Porto. With 5 goals, Blokhin shared second place EC top scorers list. In domestic competitions, they had a real failure in Soviet league, but success in Soviet Cup. Dynamo placed 7th in the league, but same time, they managed to win the Soviet cup. In 1987, Blokhin joined Austrian club Vorwärts Steyr. However, the journey to Austria wasn’t so easy for a 35 years old Soviet football star. Many were surprised that he wants to leave his homeland and continue his career in capitalistic country. “What a shameful ideas from famous footballer!” And there even was the situation, when one of the Soviet generals called Blokhin to his office and simply screamed on him and told, that Blokhin will continue his career somewhere in Siberia, not in Austria. Imagine that… 35 years old footballer, the legend of Soviet football and one of the best European strikers at that time, standing in front of general, who’s screaming on him, like on a little boy, who had troubles in school… That was the Soviet Union, my friends. No one cared who you are when there came even smallest intentions about leaving USSR. Lucky for Blokhin, not all politicians and generals were so angry on him, as that screaming one. Lucky for the legendary striker, some high-profile politicians helped to solve all problems and in the end, Blokhin could go to Austria and continue his career there. USSR national team had periods of success. Blokhin played together with a great generation of footballers, but the USSR failed to reach impressive results on the international arena. 1/8 final in 1986 World Cup was the best achievement for Oleg Blokhin together with Soviet team. 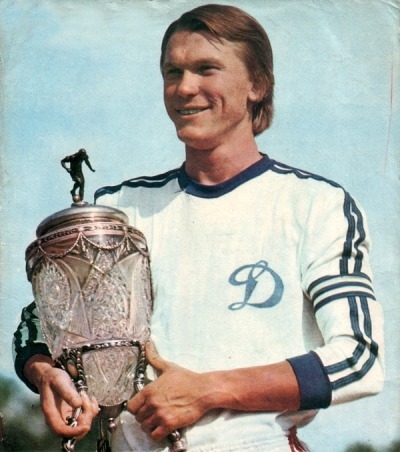 Oleg Blokhin holding a trophy. In Austria, Blokhin felt really strange in beginning. It was like a new and unknown world for him. Life there was simply opposite to what he saw in his homeland. Footballers weren’t living under army-like conditions. They could freely spend their time, even have some glass of wine or beer after pieces of training. Club took care of everything. Blokhin had a flat, car and other extras. And most important, he really could feel free. Level of Austrian league wasn’t the highest one, but it still was a good chance to earn first real money and at least spend last years of his career in European conditions. As a professional footballer. Blokhin spent two seasons with Austrian club. In his first season, he scored 5 goals, in second season 4 goals. The club was quite small and without any other high-profile footballers, so they were unable to fight for any titles. After Austria, Blokhin moved to Cyprus and joined Aris Limassol club. He spent there just one season, scoring 5 goals and then he retired from professional football at age of 38. Aris even offered a contract extension and Blokhin had the chance to play 3-4 more seasons. However, he declined such offer, hanged up his boots and soon started to look for the opportunities to become a manager. For the next 12 years, Oleg Blokhin successfully settled in Greece. He worked with some of the most famous Greek clubs, such as Olympiacos, AEK Athens, and PAOK. Blokhin also was twice a manager of Ionikos. After such a long period abroad, he returned to Ukraine. Everything changed since he left USSR. New country, new system, and values. He was offered to manage Ukraine national team in 2003. Blokhin accepted such offer and he led Ukrainians to 1/4 final of 2006 World Cup in Germany, where they lost to eventual champions Italy. That’s still the best achievement Ukraine had in its history. In 2007, he left this position and joined Russian Premier League side FC Moscow. That wasn’t the best period in his managerial career, as the club struggled and had various problems, including financial. Moscow was placed just 9th at the end of the season and Blokhin left team later on. Oleg Blokhin had an interesting and memorable career and he always remained the same. Always a leader, always a man, who isn’t afraid to take responsibility. Of course, as every sportsman, Blokhin faced a lot of difficult moments in his career. Painful injuries (sometimes fans didn’t even know that he played injured and under painkillers), shameful losses and maybe some other things we simply don’t know. And maybe we have no need to know everything about him. Like every person, he deserves some privacy and privilege to have some secrets in his pocket. However, that doesn’t make him any worse. What can I say more? It’s hard not to respect such players like Oleg Blokhin was. Russians usually say about such great men: “Он настоящий мужик!” He’s a real man! 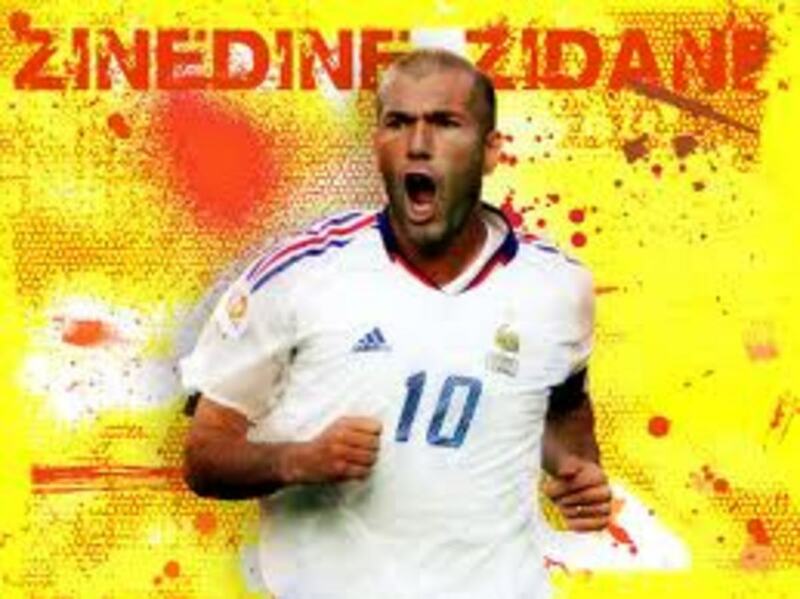 A real football legend! Finest product of Soviet football. European Cup 1986–87 second place on top scorers list.